Aries attempts to measure the distance and its effects on student performance by studying policies to increase diversity on elite campuses. While the Supreme Court considers the legality of affirmative action programs, Aries asks a question that goes beyond constitutionality: “Does learning from diversity actually take place?” And even if that answer is yes, are programs to increase diversity worth their cost? Aries accepts the argument that affirmative action sometimes fails the people it intends to help. “People think of the credentials and the benefits,” as one student quoted in the book puts it, “[but] they never think of the costs … You’re going to be engaged in a battlefield, an unspoken battle for your four years here.” But unlike the critics of affirmative action whom she subtly rebukes, Aries usefully suggests that such failures highlight areas where diversity efforts need to be improved rather than abandoned, and, by letting the students do most of the talking, she makes an effective case. Aries’s study continues a project that she began in 2005 and described in an earlier book, Race and Class Matters at an Elite College (2008). In that book, Aries interviewed 58 Amherst freshmen; in her new book, co-authored with Richard Berman, we meet 55 of those same students four years later. Amherst serves as an ideal laboratory for this experiment. Over the past forty years, the college has embraced affirmative action with zeal. In 1967, the first year the college collected data on race, all but twelve students in the entering class of 304 were white and male, the vast majority were affluent, and nearly one-quarter were legacy students. Today 60 percent of students receive aid and nearly one-quarter receive Pell Grants (set aside for truly low-income families). Forty percent of the class of 2013 identify as students of color. Recently, in books such as Mismatch: How Affirmative Action Hurts Students It’s Intended to Help, and Why Universities Won’t Admit It, income-based affirmative action has been proposed as an alternative to race-based affirmative action. The theory is that some recipients of race-based affirmative action would learn more at less competitive universities than in elite ones, where they may struggle to keep pace academically. But Aries is not in this camp. In part, this is because she sees the university’s role differently. In a global world, Aries writes, “it is important for all students, black and white, to learn to understand the experiences of those different from themselves.” The universities should help with this. By this standard, for all the pressures that it imposes on the students, the Amherst experiment in racial diversity succeeds: the vast majority of students in Aries’s study became close friends with someone of another race, and many reported learning from racial diversity, although the numbers vary by group—60 percent of black students, 53 percent of lower-income white students, and only 33 percent of affluent white students. The things they learned ranged from the obvious (“there are good white people and bad white people”) to the complex (“empathy can only take you so much into the mind and experiences of someone besides yourself”). Aries also produces evidence of increased critical thinking and problem-solving skills, higher educational aspirations, and improved college retention on campuses that prioritize diversity. 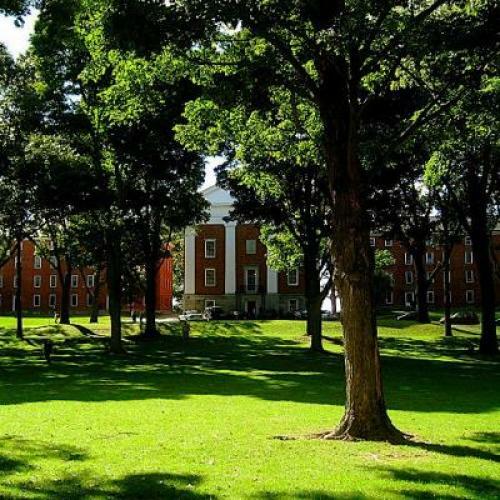 The Amherst program was additionally successful in its effort to integrate the program with college life—a crucial measure of effective programs. The college supports its program of racial diversity with classes, clubs, and an administrative culture that helped 92 percent of lower-income black students find mentors. But even campuses that try to foster racial equity and integration rarely pay much attention to class after the admission process ends. In a “counterintuitive way,” Aries suggests, lower-income white students may find the elite college experience more disorienting than their black counterparts, since many talented minority students have already benefited from scholarships to private and prep schools that equipped them with “more cultural capital than many of their lower-income white classmates.” By the end of their fourth year, 70 percent of lower-income students felt that they were “juggling two different worlds or cultures.” Nearly half of these students—versus 12 percent of their affluent peers—reported that they actively avoid talking about their college experiences, interests, and ambitions when they returned home—which is another way of saying they no longer felt at home anywhere. By comparison to their perspectives on race, the students’ understanding of class matters can, however, seem outright banal, and herein lies the book’s greatest shortcoming. Aries’s method, in broad accord with the movement known as “critical pedagogy,” is to let the students guide reforms. The result is sometimes disappointing: although their accounts of their own experiences can make for poignant reading, the students often lack the perspective necessary to explain how diversity programs failed them or could be improved. One lower-income student, for example, discovered that “our families are the same. We just have a different amount of zeroes behind our checks.” Another, from rural Illinois, remarked that “there aren’t really that many fundamental differences” between herself and a wealthy friend, because “while he may oppose unions for whatever reason based on his background, I’m for them for whatever reasons, based on mine.” Such “insights,” as Aries calls them, are worth little if students cannot move beyond “whatever reason,” which is just another way of naturalizing the felicities of birth and agreeing to disagree. In such cases, Aries’s commitment to letting students speak for themselves takes precedence over her effort to evaluate their learning. Finally, for those who are not already convinced, Aries’s book doesn’t answer the biggest question of all: even if universities can promote social and racial justice, how central should this be to their mission? But ultimately Aries’s book succeeds in complicating easy prescriptions for improving diversity at elite colleges and showing just how far we are from realizing the promise that affirmative action programs held out at their beginning in the 1960s. Whatever the Supreme Court decides, Aries makes it clear that the decision should be the beginning of a new conversation, not its final word. Blaine Greteman is a professor of at the University of Iowa and the author of The Poetics and Politics of Youth in Milton’s England, forthcoming from Cambridge University Press in 2013.